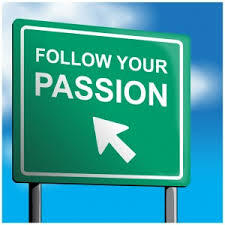 When a passion becomes a job it often changes the passion or even empties it out. There have even been studies about this. The landscaper who once had a beautiful garden gets so caught up with other people’s hard-scapes and gardens that his own are neglected. The knitter who began designing for herself with a sense of intrepid adventure lapses into design silence. There are no projects on the needles. There are, of course, landscapers who constantly invest their creativity in their own garden, and so it becomes an oasis, an inspiration for others. If you reclaim knitting for yourself, perhaps the designs that result will be more sought after than the ones you thought would sell. Lately I have been contemplating what I want to knit. Perhaps it is because Noni is 10 and I am looking back at where I started, the things I have done, and where I want to go. But before I launch into ideas for myself (and I will in upcoming posts), I bet there are a lot of you who also don’t always knit to please yourself . . .
I’d love to hear in the comments what you would really like to make for yourself, or just for the pleasure of it . . . and for some reason you haven’t, yet.